On July 30, 1945, just a few weeks before World War II ended, torpedoes struck USS Indianapolis. It just completed a covert mission to Tinian where it delivered key components of Little Boy, the first atomic bomb that was dropped on Hiroshima on August 6, 1945. American Naval officer Charles B. McVay III was the commanding officer of the warship, which was sailing between Guam and Leyte Gulf in the Philippines. He and the crew did not know the true nature of their cargo. While heading for the Philippines, Lieutenant Commander Mochitsura Hashimoto of Japanese submarine I-58 spotted the USS Indianapolis and fired six torpedoes. Hashimoto later wrote of the incident. 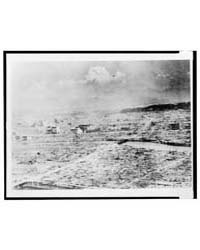 “We had the moon behind us and the enemy ship was now clearly visible. She had two turrets aft and a large tower mast. I took her to be an Idaho-class battleship. The crew were all agog, awaiting the order to fire the torpedoes. All was dead quiet ... the favorable moment for firing was approaching. … At last in a loud voice, I gave the order ‘Stand by—fire!’” For more, visit, Mochitsura Hashimoto. In Abandon Ship, Richard F. Newcomb writes, “With the target slowing in an empty sea, Commander Hashimoto raised the day periscope and gave the men in the conning tower a look. As they watched, heavy explosions seemed to rock the target, seemingly far greater than the torpedo hits. Three tremendous blasts, then six more. Excited crewmen cried, ‘Depth-charge attack!’” (p. 17). Within 12 minutes, the USS Indianapolis listed, capsized, and sank. The Navy wasn’t tracking the warship. 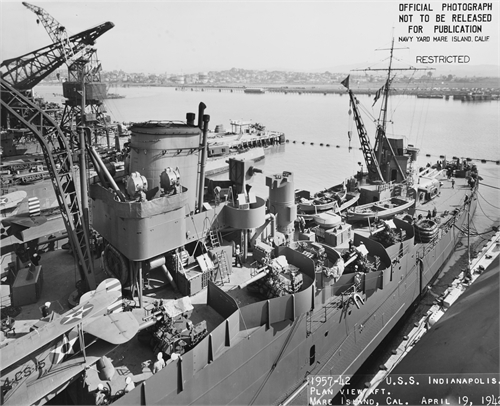 When it failed to reach Leyte on the 31st as scheduled, there was no report that the ship was overdue, due to protocol regarding secret missions. The Navy learned of the sinking when the survivors were spotted four days later by pilot Lieutenant Wilber (Chuck) Gwinn and co-pilot Lieutenant Warren Colwell who were out on a routine patrol. Of the estimated 1,195 crewmen on board, 880 survived the initial attack, but only approximately 317 survived those grueling days at sea. Drowning, dehydration, hypothermia, saltwater poisoning, injuries, and shark attacks claimed their lives. In November 1945, McVay was court-martialed for hazarding his ship by failing to employ a diversion technique called zigzagging. Throughout his life, he occasionally received letters and calls from relatives of deceased crewmen. In 1968, McVay committed suicide while holding a toy sailor that his father gave him. For decades, surviving crew members campaigned to have him posthumously exonerated. During the 1990s, Florida student Hunter Scott brought national attention to the incident after interviewing USS Indianapolis survivors and reviewing documents. He appeared before Congress with some of the survivors. In 2000, McVay was exonerated. 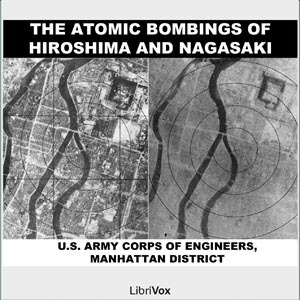 To listen to readings about the bombing of Hiroshima, visit Atomic Bombings of Hiroshima & Nagasaki.